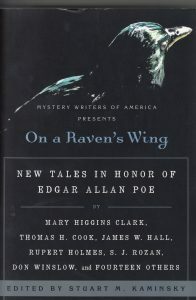 Twenty contemporary writers commemorate the 200th anniversary of the birth of Edgar Allan Poe with chilling stories inspired by the master himself. Nearly two centuries after they were penned, Edgar Allan Poe’s macabre tales are still working their eerie magic on readers of every stripe—thrill-seekers, filmmakers, even fellow writers of suspense. Collected here to honor and celebrate Poe’s genius are original stories by some of the best mystery writers at work today. A son attempts to connect with his dying father in Thomas H. Cook’s “Nevermore.” John Lutz’s “Poe, Poe, Poe” combines elements from several of Poe’s stories in a twisted tale of madness and mayhem. “Poe, Jo, and I,” by Don Winslow, examines the curious bond literature can form between the most unlikely of friends. And in Jon L. Breen’s “William Allan Wilson,” getting even has never felt so good. 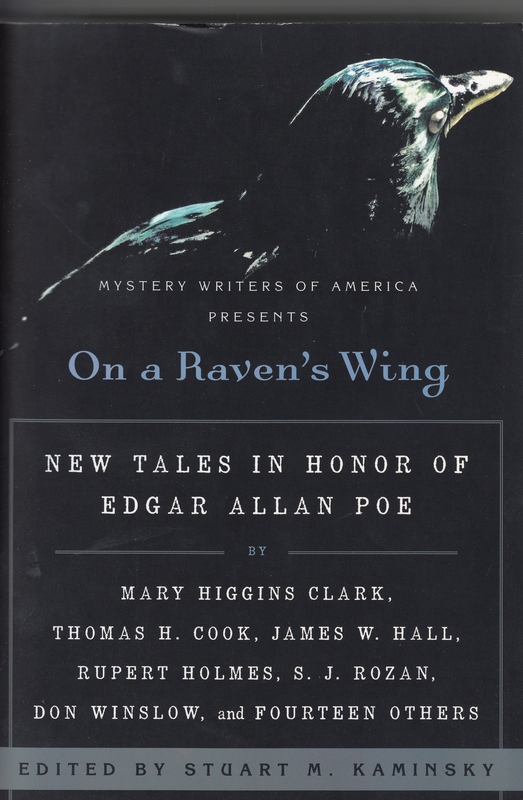 With contributions by Mary Higgins Clark, Jeremiah Healy, Peter Lovesey, P. J. Parrish, Daniel Stashower, and Angela Zeman, among others, On a Raven’s Wing is a fitting tribute to the one and only Edgar Allan Poe.